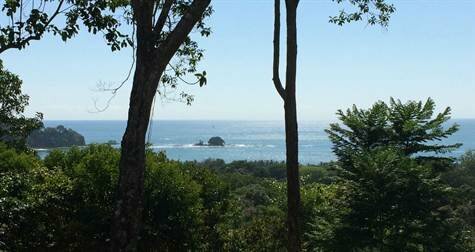 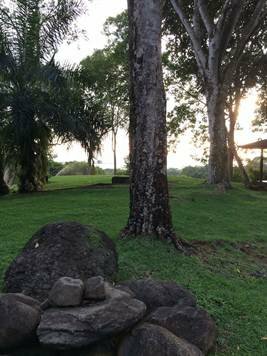 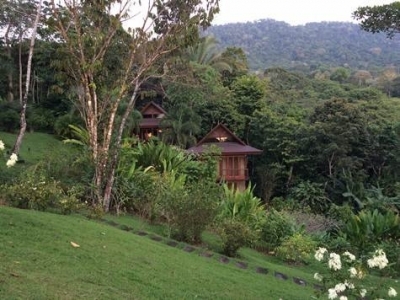 15.8 ACRES – 2 Bedroom Modern Bali Style Home w/ Pool, Ocean View, All Year Creek!!!! 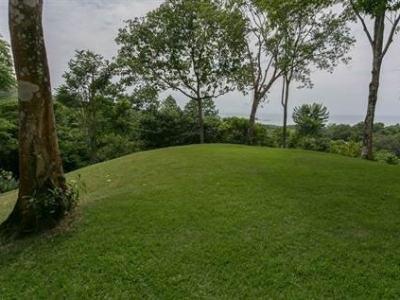 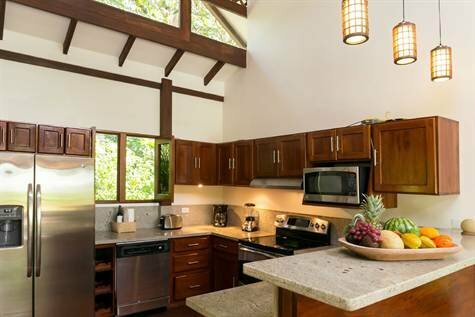 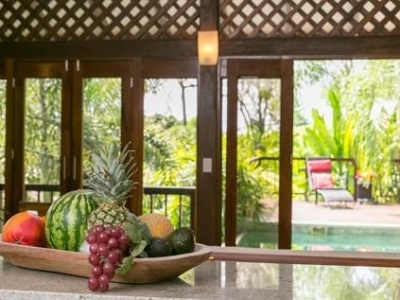 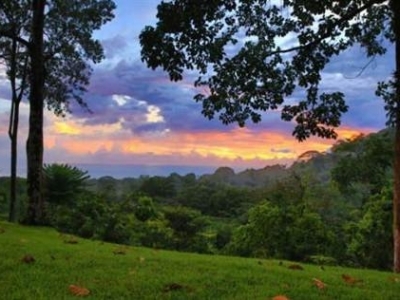 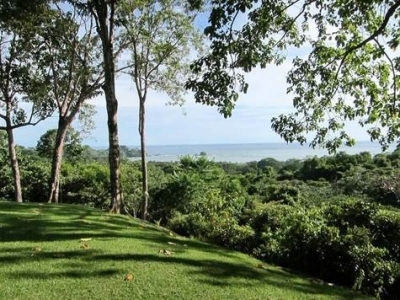 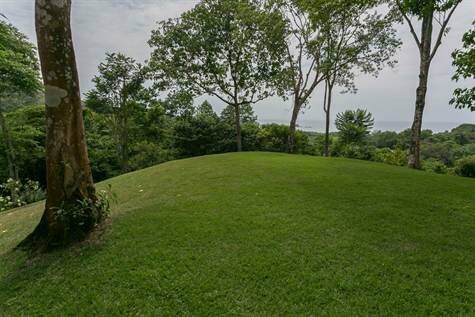 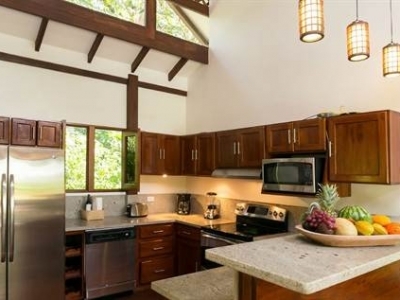 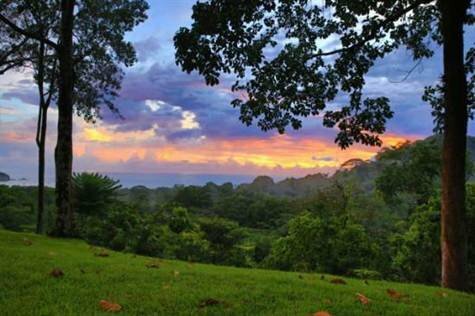 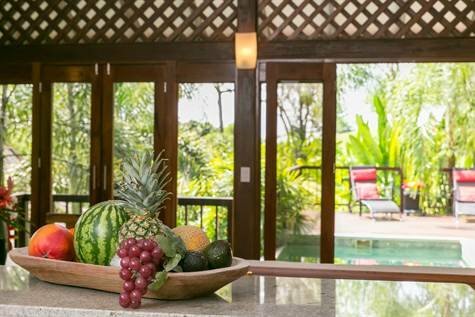 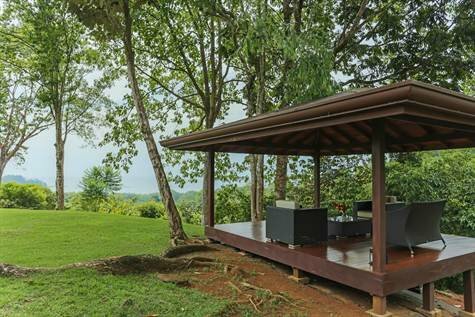 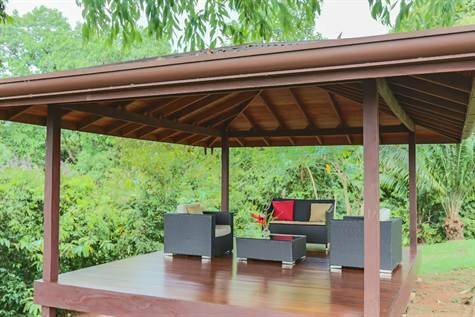 This premier estate property is located in Dominicalito, just a few minutes inland from a pristine beach and at the end of a quiet residential road in the hills which overlook the Pacific Ocean below. 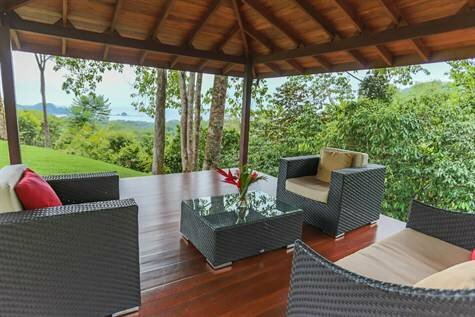 It’s rare to have this many desirable elements come together for one property – privacy (end of the road location and abundant buffer zone), a true jungle feel (mature forest with 1 km of internal, private and well maintained hiking trails as well as two beautiful year-round creeks which flank the property), spectacular ocean views (looking down at the Punta Dominical, local fisherman’s bay, the iconic rock island and sunset), a turn key residence yet with with the main and most desirable building site still undeveloped. 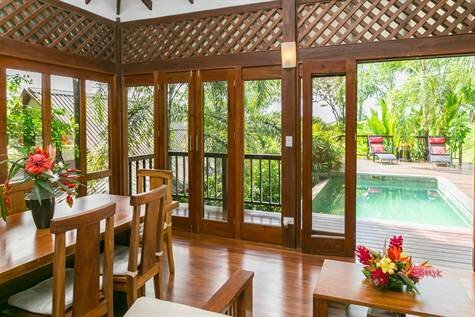 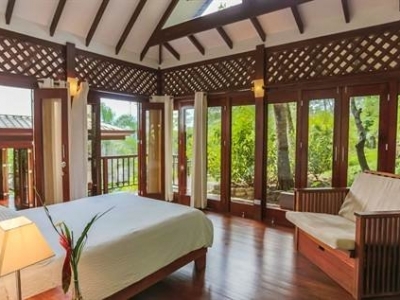 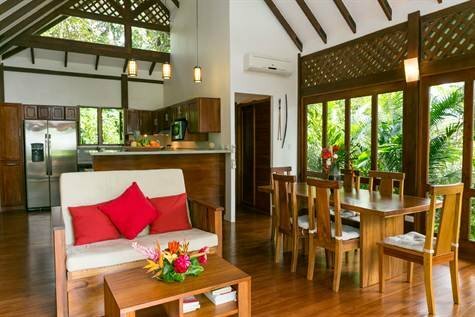 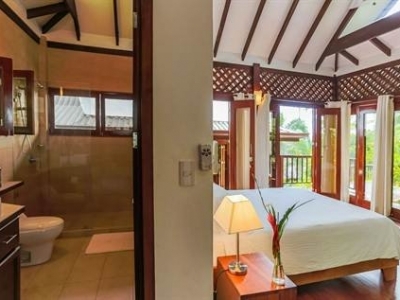 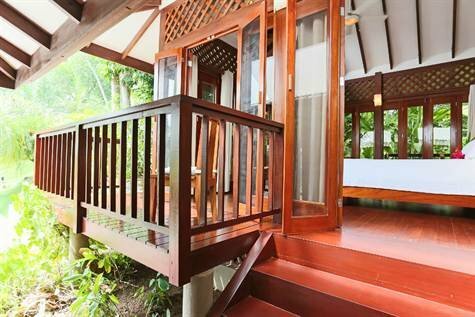 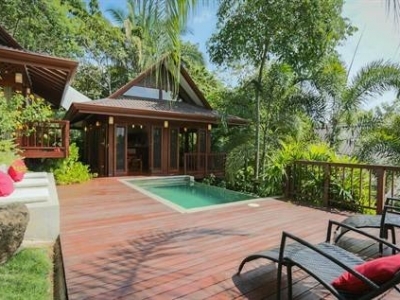 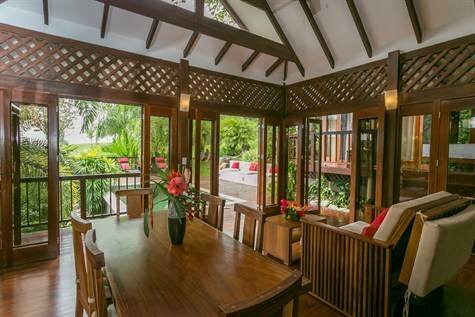 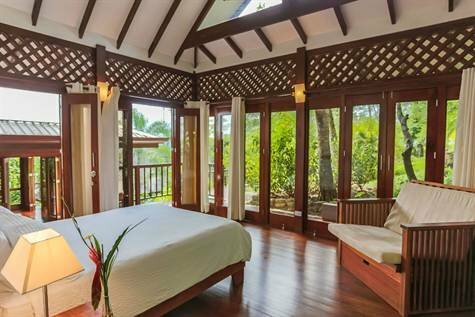 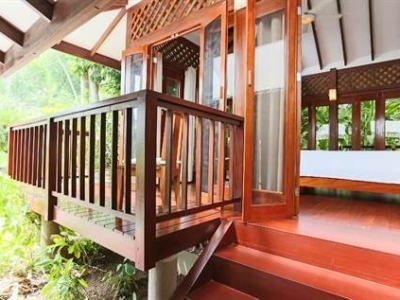 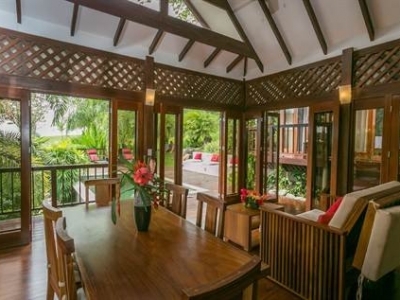 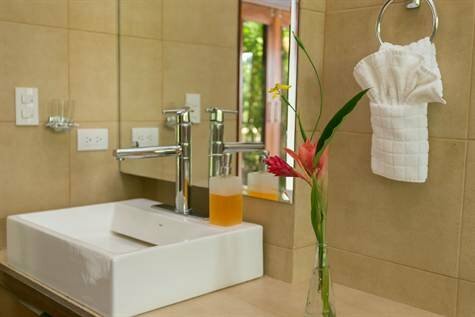 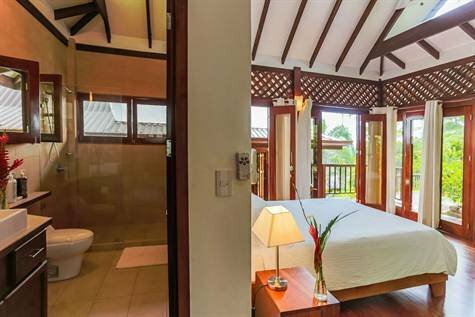 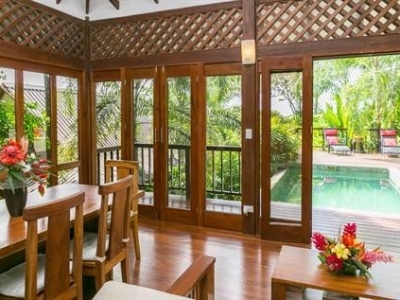 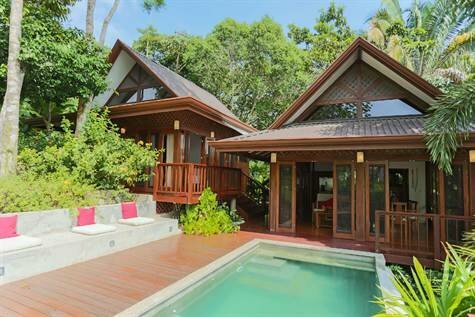 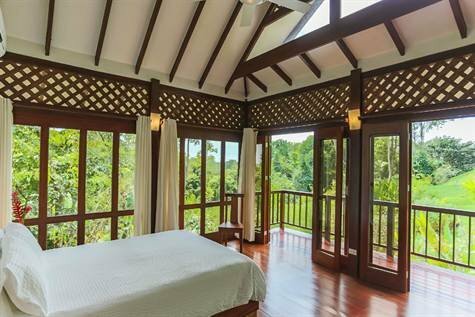 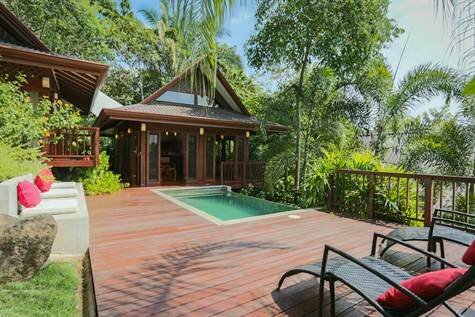 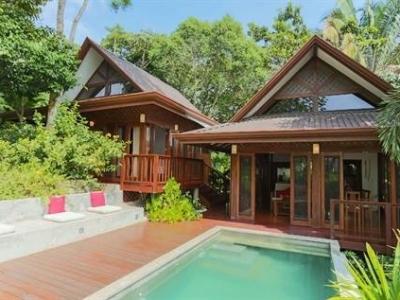 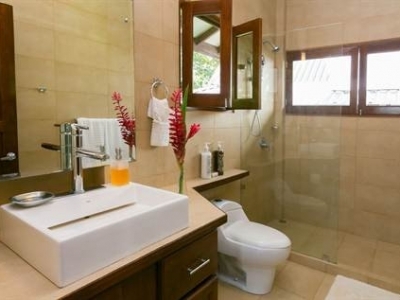 The existing residence is a Bali-style, 2 bedroom, 2.5 bath home with private plunge pool and impeccable craftsmanship. 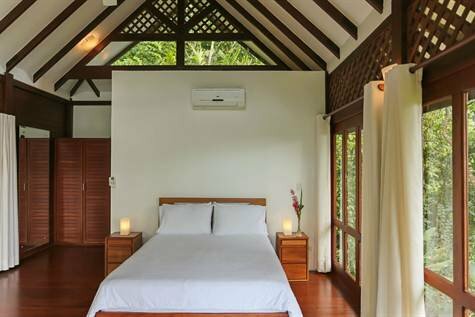 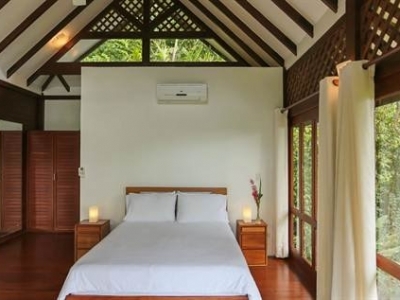 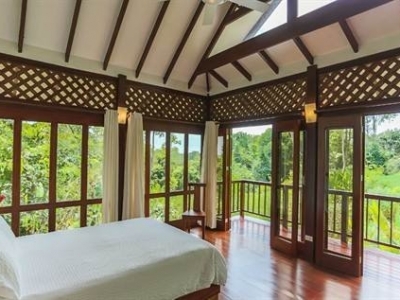 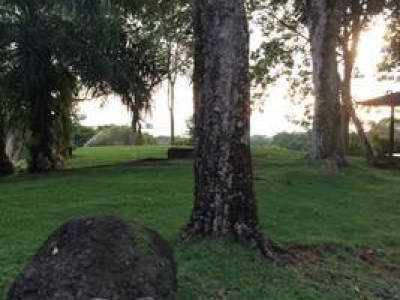 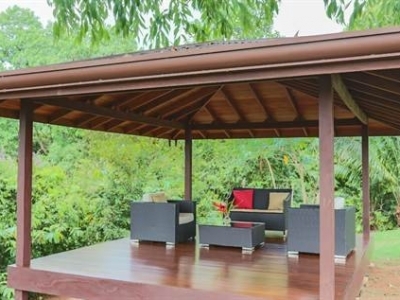 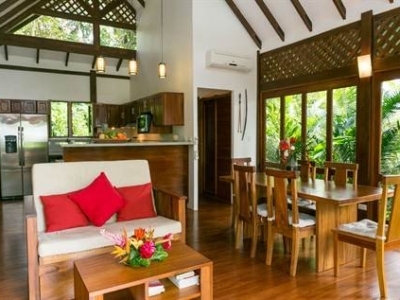 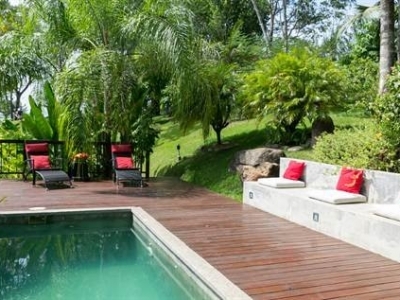 The house is very comfortable, is designed to enjoy outdoor, tropical living and could serve as an eventual and very comfortable guest home or rental property should the new owner of this estate build a larger home on the main site. 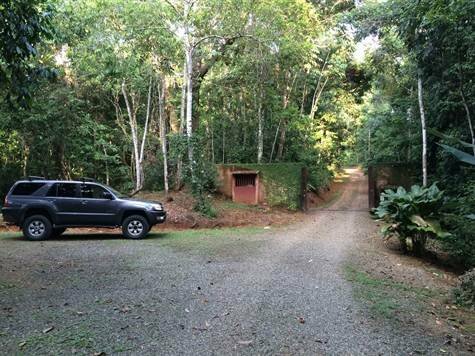 The property also boasts an electric gate at the main entrance, a long private driveway (adding to the estate feel), enclosed and friendly dog kennel area, mature, very attractive landscaping, water filtration system and sprinklers for the grassy knoll area. 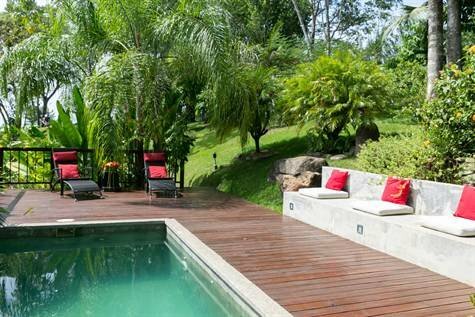 The property reflects the owner’s commitment to excellence and the enjoyment of this very special landscape. 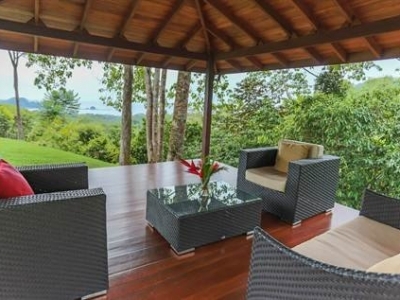 This unique estate is like living in your own private reserve. 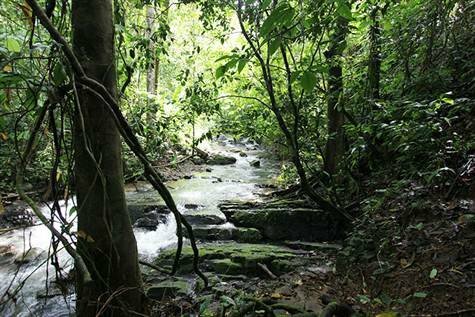 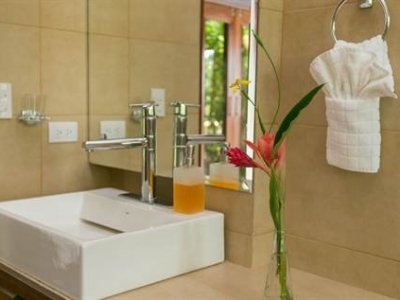 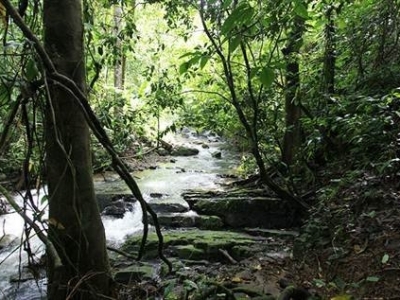 The owners have invested thousands of dollars into a well groomed and user friendly private trail network which meanders through mature rain forest, down to two very pristine year-round creeks. 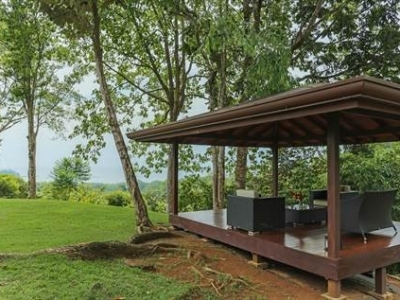 For the nature lover and a person who values privacy, these features are truly amazing. 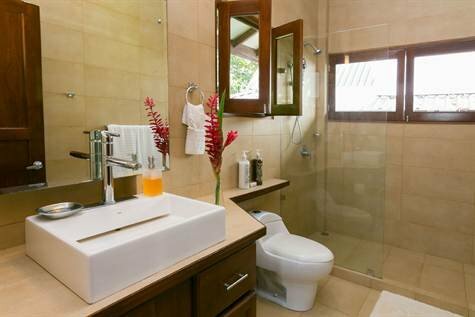 A well established and successful vacation rental program is also currently in place. 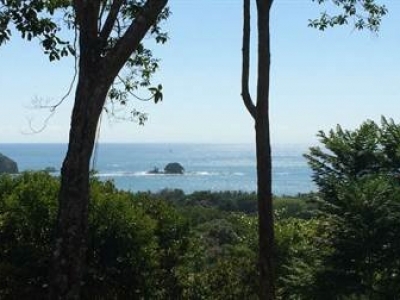 Any discerning buyer must view this property when considering residential, vacation, or even commercial offerings with the goal of getting the absolute best the area has to offer.